Contractors need to consider taking out an Insurance policy from the outset of their business. It is advised that the extent of the work for each project be considered to determine if an extra level of insurance should be included. Choosing which type and level of Insurance is best will depend on the scope of the work to be completed and the type of risks that may be encountered. To help contractors make an informed decision a variety of Insurance options shall be examined. As a contractor that operates through a Limited Company, you should always ensure that you have Professional Indemnity Insurance and Public Liability Insurance. Employers Liability Insurance is also necessary and required by law if you hire more than one worker in your business. It is also normally a requirement that most contractor agents and clients request before signing a project over to you. 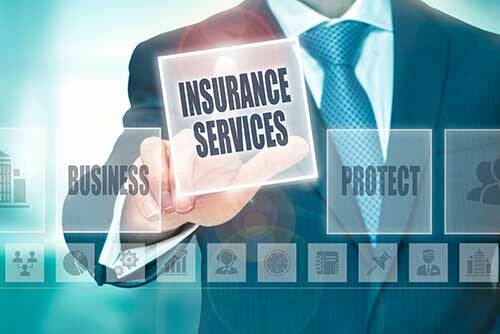 These Insurance policies can be taken out as stand-alone policies or in combination of each other. Consider various insurance provider’s packages as each have different types of insurance and varying levels of cover. This type of Insurance is fundamental if your business offers professional advice or services. It protects you in the event that claims are made against you and includes any damages that become payable as a result of your advice or service. This includes professional negligence, breach of confidentiality, loss of documents and data and defamation. This can normally be taken out as a stand-alone policy. In the event that a client or member of the public is injured or their property is damaged due to your business than you are covered for any damages brought against you by them. If any of your employees are injured or become ill whilst working for you then you will be covered for any claims they may make against you or your business. In the event that your business suffers or is disrupted due to data breach or hacker attacks. If this affects IT systems and results in theft of personal data or commercially sensitive data or extortion by hackers, then you and your business will be protected and supported by a legal team. This type of Insurance policy would allow you to claim a lump sum of money or a weekly amount if you were unable to work. In the event that you are dealing with HMRC with regards to a IR35 enquiry you will be assured that you will not have to face the potential of a heavy tax bill and your case will be dealt with by experts who can fight your case. As a contractor this type of Insurance covers sick pay if you suffer an illness or injury. Policies can be taken out based on a contract rate and can protect up to 70% of your income and pays out a monthly income. This cover should be taken out in conjunction with Income Protection (this pays a monthly income if you fall ill). Critical Illness Insurance protects you if you are diagnosed with a serious illness and a claim would pay you out a lump sum. Note that the terms of this type of insurance must be carefully considered as must the reputation of the Insurance company. This type of Insurance is relatively cheap and gives you peace of mind if you are called up for jury service which could result in you losing out on income from a project. Your home or office based business and all your business equipment is protected in the event that they are accidentally damaged, lost or stolen. There are some add-ons that would also protect mobile equipment i.e. notebooks and cover for business loss due to this interruption. The level of cover that you should take out would depend on the type of business you run and the level of risk that exists in your working environment. Normally, Contractors take out Insurance Policies for Professional Indemnity at £1m, Public Indemnity at £1m and Employers Liability at £10m. These levels of Insurance are normally stipulated by your agency before commencement of a project.